Everyone has them: freckles, moles, “age spots,” birthmarks, and brown spots. 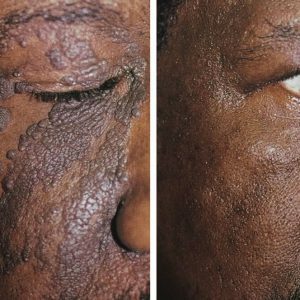 Premier Dermatology has the most advanced laser technology available to reduce the appearance of these unsightly pigmented skin lesions. Laser treatment is the safest and most effective solution for these unwanted and unsightly signs of age. 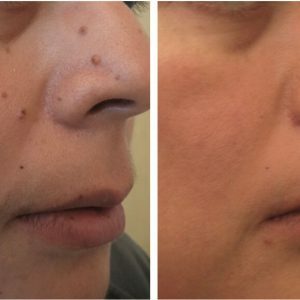 How do lasers remove unwanted pigment? 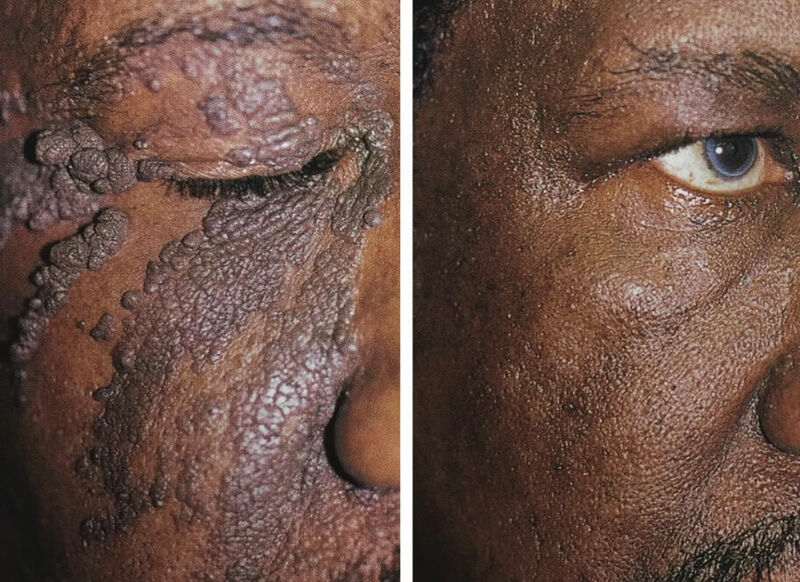 Pigmented skin lesions are successfully treated using a specific wavelength of light that is selectively absorbed by dense concentrations of melanin in the skin. 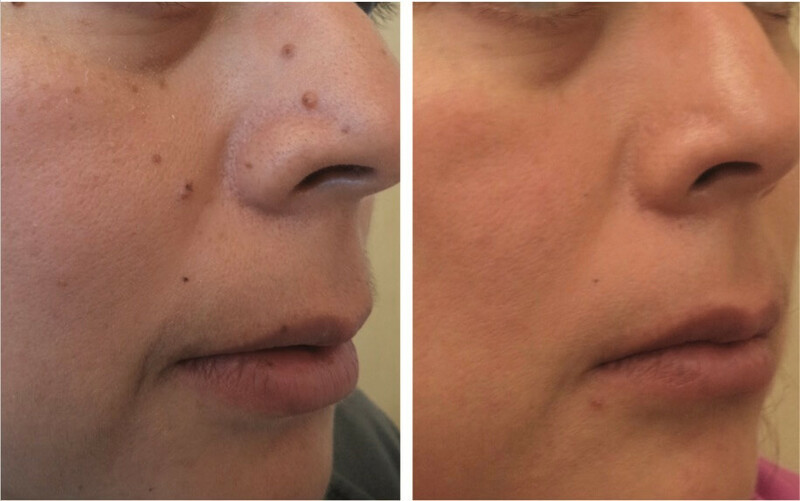 During the procedure, the surrounding normal skin is untouched by the laser, leaving it undamaged. The result is an evening of skin tone and a dramatic reduction in the appearance of the brown spot. Laser removal of pigmented skin lesions is a relatively easy procedure. It is nearly painless, leaves no wounds or blisters, and allows patients to participate in daily activities directly following treatment. What types of pigmented lesions can be treated with lasers? 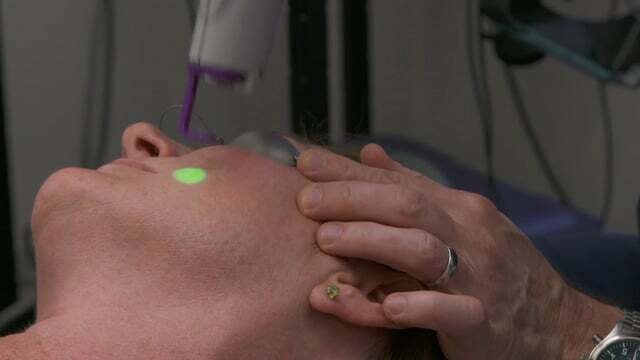 Moles and other skin lesions that are suspicious for skin cancer should not be treated with a laser. These should be surgically removed and examined by a pathologist. If the physician detects a suspicious skin lesion, he or she will discuss appropriate treatment options before proceeding. Moles should not be cosmetically treated before they are examined by a board-certified dermatologist. 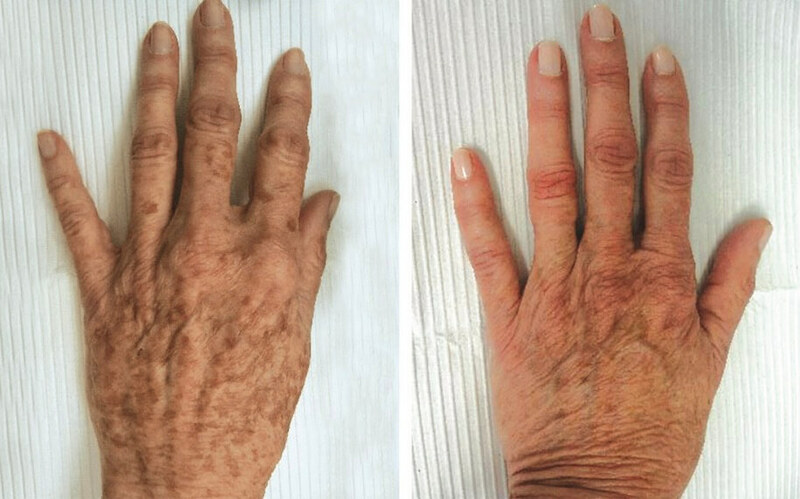 Pigmented skin lesions are just one of many cosmetically undesirable signs of aging. Others include wrinkles, facial redness and spider veins, uneven skin texture, and skin growths. 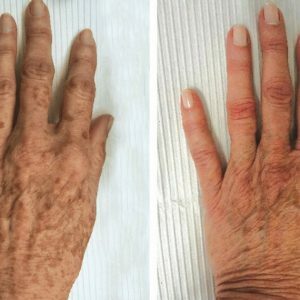 Through state-of-the-art laser technology, the physicians of Premier Dermatology can improve all of these skin conditions and improve the overall appearance of the skin.